Yes, that’s what drop shipping is all about. The quote in the title belongs to one of our loyal customers. If you read our forum, you certainly know him – he writes a lot under the user name Kingpin. Kingpin is always happy to share his thoughts in our community: he comments AliDropship plugin updates, asks questions about its work, and even makes suggestions about features he’d like to see in the future. And he doesn’t make a secret out of success story: he openly tells our forum readers everything they’d like to know about his drop shipping business. That’s why we decided to ask him for an interview! Hi Kingpin, thank you so much for your contribution! Tell us a bit about your business. Hey! Well in the summer of 2017 I have 7 drop shipping stores. They are related to different niches, and I use different business models. Some of my stores are B2C, which means that my target audience is ordinary people. And some of my stores are B2B which means that my clients are small businesses. I’m making about 500+ sales per day now. Right, that’s really impressive. Did you have any experience when you started your drop shipping business? NO! I’m into internet marketing since a long time but never tried dropshipping business before. 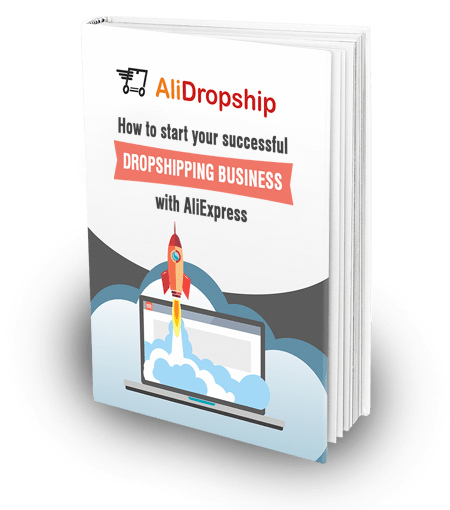 My dropshipping journey started just after the AliDropship plugin came and changed the game. People often say they are scared to launch a drop shipping store because it’s difficult and unfamiliar. What’s your story? You know, when I opened my first store it only took me 2 hours to set it up and to import 100+ products. Yes, I spend almost 15 days later to edit the descriptions and other info to make product pages look good, but setup itself was really quick. The same was true for my second store – when I was setting it up, I only spent about 2 hours on it. Please tell us about one of your stores in more details. Okay I’ll tell about one of the newest stores. In the middle of February 2017 I opened a new general store with some cool items. It is not a niche store, I am selling higher class products not cheaper than 10 dollars. Basically I am combining several items into a single offer and selling them in small bulk. I am targeting USA and Australia, and my target customers are retail shopkeepers – people who run their own real brick-and-mortar stores. So as you can see this is a B2B business. I offer free shipping for purchases on more than $100. I use the WooCommerce version of AliDropship plugin, and in WooCommerce you have an option to apply a coupon code above any price range, like I do. If the cart total is $100 or above, then shipping is free. To promote my store, I use Facebook ads – I started with a budget of $5 per day. Now I get 80% to 85% of traffic from Facebook. I do all types of ads but mostly concentrate on video ads. I promote some funny videos or compilations of many video clips which appeal to my niche or the product category. In the end of this video I put a slide with the information about my store, and put the link in the description too. In just 30 first days the results were awesome. I hit $28,000 in sales in the first month. After calculating everything and paying out sourcing charges and all, I got $14.5k in profits. So how does the whole process look? What do you do when you start a new drop shipping business? So there are 3 basic steps. 1. I always start with the niche research. It is easy: go to Amazon best sellers and see which products are the most popular, and which niches/categories are doing well. Then, go to AliExpress and see how many products are available in this niche. Check if they have ePacket shipping method. Start with a niche with at least 20 great products. Try to choose items related to hobby niches like camping, swimming, fishing, etc., or choose niches related to pets – people generally have a high demand on such items. Remember that products should be more or less unique. Stay away from trademark copyrighted products! 2. Store setup. I use AliDropship WooCommerce plugin as it allows me to choose a theme according to my niche. Always use only those plugins which are required for good reason like site speed and performance. For a product setup, I create a landing page and put some pre-sale info with an email form and redirect to checkout or actual product page. On checkout page, I show upsell and offer discounts for sharing on social media. 3. Promotion. I use Facebook ads and these days I promote viral content or articles related to my niche. And I try to make my ad post go viral. On my article page I put images and links to my product and email opting form to grab their email. I put FB retargeting pixels on my site and then I set another ad and show an awesome ad to those people from Facebook who visited that article page and this time I send them to my product page directly and they buy most of the time. For example, one of my products is related to the dog niche. To promote it, I went on the Buzzsumo website to find the most shared post on Facebook related to dogs. And I found a viral post which was shared 2.4 million times on Facebook. And then I created an overtake copy of the link of the original share using my own web tool. I posted MY LINK on my Facebook Dog Page and created a FB ad with budget of 5$. I was targeting people living in New York who like pitbulls and that’s all I did! I got 22 sales and counting. I also do email marketing. I send emails to customers if they didn’t make a purchase and abandoned the shopping cart. I target these people with new ads with heavy discounted deals. As a strategy of repeat business, I send my customers related product suggestions using emails. What can you say about the technical side of drop shipping business? I’m using WordPress for the last 9 years. Apart from my 7 stores that are running and bring me profit, I have a beta test store which I use for staging and checking new features of AliDropship plugin and WooCommerce plugin. I can recommend all my fellow drop shippers to create a staging site where you first update plugins and experiment. If you are satisfied, then update the plugin on the actual site. Whenever you see an update for a core plugin, always wait some days before updating. Speaking of recommendations, do you have any pieces of advice for our readers? If you truly want to do some fortune on drop shipping business, just do everything whitehat. I mean, be ethical and do stuff legally. Focus more on the strategy of marketing your products. If you’re starting up with e-commerce biz, just go with PayPal and make some money and then with that apply for a US based LLC and use Stripe or any other method. We are really thankful to Kingpin for his kind feedback. Do YOU want to feature in the next issue of our Success Stories series? Leave us a message, and we will get in touch with you to discuss and write down your story. No story to tell yet? How about starting your drop shipping journey right now? That’s surely an easy way to get famous! AliDropship vs. AliDropship For WooCommerce: What’s Best? You can target them easily on Facebook. I’m afraid to share the actual blueprint of how I find those people on FB but I will give you an idea on how you can find too 🙂 Just target all the people with interest related to wholesale goods, find sites that do B2B stuffs and see if you can target them on fb ads or not. Wow. What a great case study. It was very informative. I had been hesitant to get into retargeting, but I see now that I’m going to have to dive in. What kind of link jacking tool are you using? Is it a custom tool or something I can purchase? Thanks for your openness with us. Also… unrelated to your case study, but related to your pic. Did anybody ever tell you that you look like SRK? Wow – love all the promotion strategies! Well done amazing…!!! 2. So you go from FB ad to landing squeeze page to product page, then checkout? Is the squeeze there because you want to capture prospects? Then you market to them with discounts to get a sale ( turn into buyer?). 3. How are you managing the admin. I am making £1100 in 22 days so far but I’m starting to get busy lol admin overload, still manageable – and thinking of delegating out on horizon. How are you doing this how many VA?? And from Upwork or where best? 4. How are you dealing with PayPal or when did you decide not to use it. I know nightmare stories about PayPal…I’m using it right now but it’s the one thing keeping me up at night lol!!! Would Stripe + Amazon payments work better? I say Amazon cos folk trust it, but of course u don’t want customer to think yer from Amazon cos of shipping times and expectation of one day deliveries uh oh!! Show .. i m very excited to have success with my Store… now i have many ideas do promote.. Thank you!!! This is a great and inspiring article. @ the devs. The error with traffic in the plugin, is that going to be fixed soon? It was fixed, just update the plugin. Wow!!! Great showing Kingpin. I bought Alidropship plugin for a couple of months now but I am still setting up my store, cause I had zero experience with almost everything. You were the first guy who provided inputs to my questions when I first bought the plugin. You are doing great man. I admire your talents. I am just learning. Still setting up my store. Mine is going to be more a general store but I was thinking my marketing approach whole learning the ropes. I can’t afford those expensive dropshipping courses from some so called “gurus” out there. Moving slowly. Thanks for sharing your success story. It is quite encouraging. You can always approach me on alidropship forums. I’m active there most of the time. Hi! Awesome article and a great inspiration for someone like me who’s just starting out. Please could you explain more about this process “And then I created an overtake copy of the link of the original share using my own web tool”. I am using the same wordpress theme you appear to be using. Have you used the inbuild themes Alidropship offers or have gone with the woocommerce option always? Did you install additional plugins for abandoned carts , cross sell etc. that you can list here? smartphones you can dropship but its a big no no from my side if you do that. Can I use my own themes for my website even after installing the alidropship plugin? Is the product price decided by myself or it has to stick to alidropship recommended price range? 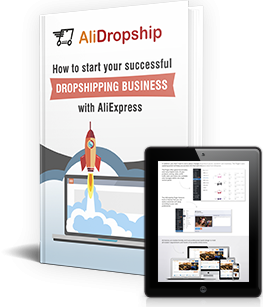 If you want to use other WordPress theme you need to install AliDropship Woo plugin version. which hosting and domain company are good with your websites? Can you critique on my website ? Just one more query for you . “Are you pre-ordering the products from Aliexpress and then re-shipping or you get it shipped directly to the customer”.Is it safe to get it shipped directly from aliexpress , if they disclose the actual price. He does not pre-order products. All items are shipped directly from AliExpress suppliers. Otherwise, this business model would not be called dropshipping. @himangshu i dont pre order and stock inventories. Thats a different model and for it one need to use alibaba not aliexpress. Thanks @Yaros and @Kingpin for the detailed reply. Thanks Kingpin for your recent answer. Some weeks ago I did a test and tried to replicate a successful alidropship case ( H. Potter ) with Spanish market. I did not create the whole store, only a test website. The idea was to see the number of clicks of the link, not the sales. I used facebook groups. There are huge harry potter groups in Spanish with very enthusiastic people. The target people is about one million group fans. I try to use the same content and put the same kind of links and images. I receive a lot of likes and comments, but very little clicks in the links. I put very nice images in the fan page. Only 24 clicks in links in a week, publishing every day. What is your opinion ?. Do you suggest to work only with English markets ?. Thats a nice test. Spanish market is huge too. Just make your offer so irresistible they’ll buy. I have a quick question for you – are your ads on FB based on impressions or clicks? Seems like $5 per day brings about 5-10 clicks daily. I was just wondering whether you’d be so nice to share more about how do you set up your facebook ads. p.s. you are a true inspiration. thank you for sharing. This is great information thank you..
How do you combat multiple sales in one order? So for example, if someone purchases 5 different items that happen to be from 5 different suppliers, they will no doubt receive 5 different packages all at different times. Surely from the customers this is not good? Awesome work and thanks for useful tips specially on FB marketing. Also somewhere you mentioned about keep staging site for testing and new updates purposes, how you manage Alidrop woo plugin key on both primary and staging sub domain? I have stg website on sub domain . 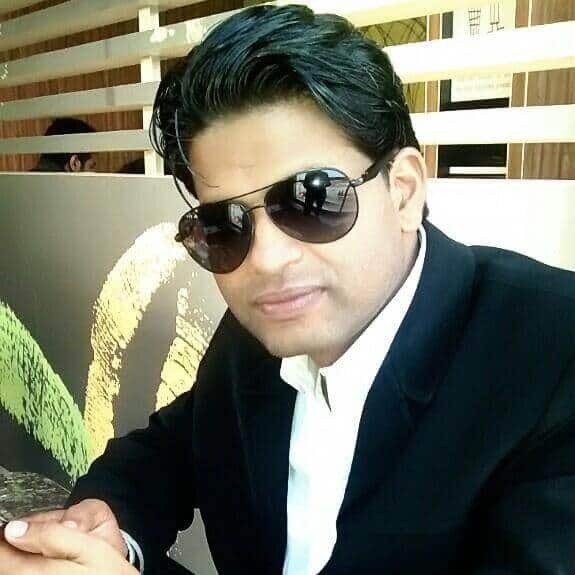 Nice work Kingpin, are you Indian it looks like you are from India…can you please help me on how to handle TAX issues if one is staying in INDIA and soon Iam opening a UK based store using SHOPIFY.com. What Legal issues i need to take care of could you please explain..
Hi mate yeah I’m from India. How do you accept payments from US citizens (credit cards)? Did you register a company in US for your all stores? I have stripe and PayPal working together on all my stores. Hi, what is the name of your website ? I’m new to dropshipping and i need help with a lot of things like email marketing, fixing some page on my website etc. I hope you can give me some advice. Thanks in advance! I am active on alidropship forum. You can ask questions there. I am wondering what do you mean by using your own web tool and also does it mean that you are copying the link to your facebook page from Buzzsmo ? Can you elaborate some more on how you got the targeted traffic to you site? Very interested. I’m a new dropshipper, I’m not so sure about the process. Let say if I got an order, Aliplugin will automatically do it jobs to place the order with supplier? Or I need to place the order by myself? Yes the plugin will do the work. I’m Angel and I’m entrepeneur for more than 5 years with offline business working well. I’d like to start a dropshipping ecommerce and I would like to talk with you. I want you to be my mentor. Waiting for your message on instagram. Well done Kingpin, really inspiring! I am curious to know in which country you are based. I couldn’t find it out in the article. I am an expat living in Turkey. I would like to start a dropshipping business but the fact rhat paypal does not work in Turkey makes me a bit hesitant. This is the reason I find the possibility to open a US based LLC very interesting. Is it possible for non-US residents to apply for a LLC in order to make process payments work? Please list your e-commerce websites. You did not mention that in this post. I would like to refer your e-commerce websites. The key point is how to target customers on Facebook or that other SNS platform ? Thanks in advance. An inspiring story for young entrepreneur thanks for sharing! Frankly speaking, You are my motivation. Not just because I get aware of some tools that are like money making machines or strategies that drive income, but the sole reality is now I find someone very realistic that I want to be like and follow. These ideas are not just limited to dropshipping, its the core marketing tactics. I’m your fan bro! Do you money for people visiting your site, I mean just clicking on your advertisement? Dear Kingpin Please can you give me any contact info like skype,etc.